Wacotrib.com reports via its Joe Science blog, the following notification from SpaceX received Thursday evening. A further update by the company also noted that a launch date for MDA Corporation’s Cassiope mission out of Vandenberg has been set, but has yet to be published. 7 Comments on "SpaceX Completes First Development for Falcon V 1.1"
According to the University of Calgary for whom MDA made Cassiope the launch date has been set for Sept. 5, 2013. 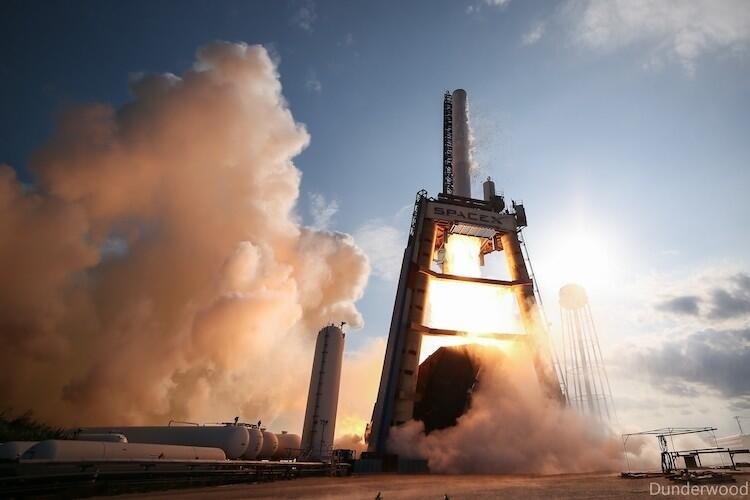 So hopefully, at least 5 F9R tests this year – we could potentially see a first stage return in 2013. I wonder if that would have any effect on ESA’s stubborn plans for Arianne 6 to have the first two stages use solid propellent for introduction around 2021-22. They may yet change their minds and instead go for coal-fired steam engines. …..6, 5, 4, 3, 2, 1, toot-toot!. Yes, that is the problem with hierarchical systems. Those in command frequently just get in the way, like SLS and congress while those who actually know better are pushed aside. Falcon V ? as in Falcon 5 or typo? Falcon V1.1 (or F9R) is the new designation for the new Merlin 1D engine. It also has the engines arranged in hexiconal fashion with one in the center rather than the Tick Tack Toe fashion of the 1C engines. Or should I say octagonal fashion. Vee not 5.